It seems to be one of "the" unwritten rules in football; a manager should never publicly criticise his players. When they do, they often attract criticism themselves, from fans and media commentators alike. Much of the media condemnation comes from ex-players, often reflecting on their experience and how they would feel. Just taking the last couple of seasons, Tim Sherwood has attracted condemnation from Michael Owen for the then Spurs manager’s criticism of his side and Peter Schmeichel suggested that Roberto Mancini’s constant disparagement of his Manchester City players contributed to their slump in form. Rarely, do you see managers doing it. Therefore when it happens it is bound to grab attention and make you wonder. Why that player? Why this particular game or moment? What is driving the decision to go public with the comments? Very few top managers do it and Sir Alex Ferguson was clear about why he didn't berate his players in the press. "My job is not to criticise my players publicly. When a manager makes a public criticism, he is affecting the emotional stability of a player and that cannot be the professional thing to do." That is why, as a tool of man-management, public criticism of your own employees tends to be viewed so negatively, not just in football but any industry. Everyone prefers to be spoken about favourably, or at least criticised in private. I have never used that tactic and can’t imagine when I would. Back to football, Jose Mourinho has a slightly different approach, based on how view the maturity of the players and their working relationships. "It is part of my job, to try and find the best strategy to get the best out of my players. I love to praise my players publicly. I don’t love to criticise them. But sometimes, either by strategy or by frustration, I’ve done it. I think the most important thing is the personal relationship. When you have a personal relationship, you can accept the criticism and are open to it. You know your friend, your coach, your father or your wife criticises you it’s for your own good. That’s the basis of our relationship. I have a fantastic group of guys and a great relationship with them." Closer to home, Nigel Clough has come in for criticism this season for his handling of Marc McNulty. Match winning and goal-scoring performances have seen the player return to the bench for the next game. Attempts to cajole praise for McNulty from the manager in post -match interviews, instead provokes lists of problems, things the striker has still to learn and could do better. Yes he scored, but………. 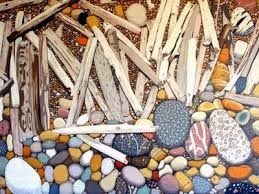 To some fans it feels like Clough is nit-picking. To others it adds to a perception that the manager likes to be contrary and go against the flow. Or, in a more positive light, that he is just being his own man - a manager in the mould of his father - willing to stand by his decisions however much others see it differently. The truth probably lies somewhere in the mix. McNulty does have a lot to learn; both in terms of positioning and all round game play. At the same time, in a side struggling for goals, fans wanted to see some positive threat on the pitch, something that McNulty seemingly provided. The manager has pointed out in interviews that this is part of how he handles McNulty, focusing on how the player responds to this criticism. This has in itself generated concern amongst fans. They view it as a risky strategy, one that only seems to raise the hackles of the striker's father on social media and doesn't seem to be to the overall of benefit of the club. Subsequently, the criticism has spread to other members of the team, as players were named as to blame for recent defeats. This blame game, with little self-flagellation from the manager seemed to raise ire further. Bizarrely, public criticism is frowned upon by any fans, yet many of these very same fans are the ones who want and demand honesty from their manager. If the view from the terraces is that tactically the manager got it wrong, or a player underperformed they want it acknowledged, they want to see some form of action taken. Yet we all see the game differently, within that view and opinion there will be some common ground, but everyone is looking at the game in different ways. At half time versus Scunthorpe, I was criticised by some for being too negative, given we were winning 2-0. Yet, if it hadn't been for Jose Baxter's penalty we would have been going in at half time 1-0 up, having rarely tested the Scunthorpe keeper and the nervousness at not capitalising on our dominance of possession would have left many fans fearing another slip up. To test the water I praised the first half against Crewe, one all at the time, but with a very similar 45 minutes to the Scunthorpe game in terms of how we had played, passed and finished. I was criticised again. It was "rubbish", the passing was "awful". The responses highlighted the difference made by a goal, on a rare foray forward, from the opposition, but also how we all view matches with different tints of red and white. On this basis can a manager ever be seen to be getting this right? This isn’t the first time a United manager has used this as a means of motivating his players. 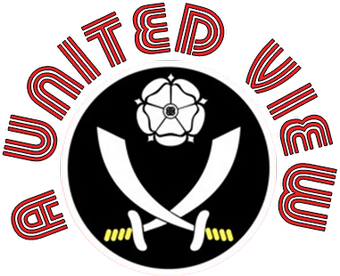 Early in the 1991 season, with United yet again making a slow start in the top tier, Dave Bassett was highly critical of his players in the press. Rarely singling out individuals, he came down more heavily on the team as a whole, in his own forthright fashion. A young 16 year old fan, read and listened to his comments, thought about it and sent him a letter. 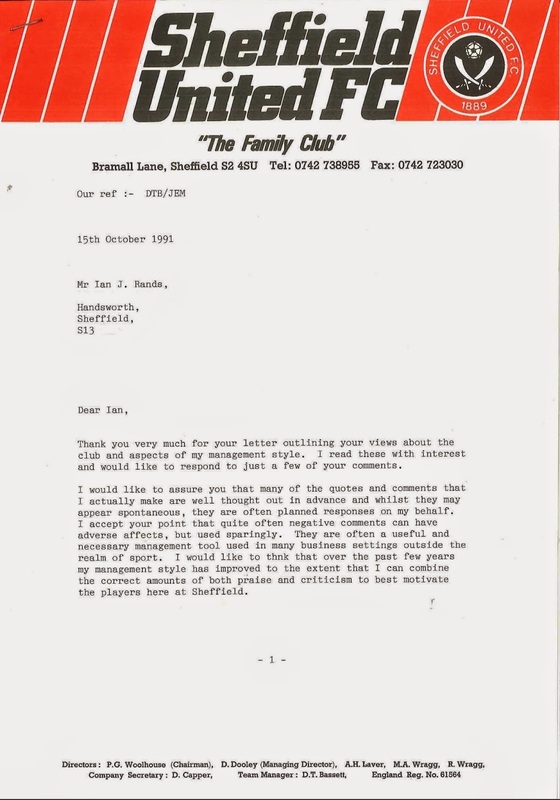 The letter largely thanked the manager for what he had achieved at Bramall Lane, they remain some of the greatest times that fan has had watching the Blades even twenty odd years later, but the letter also asked why he was so openly negative about his team. A week or so later a letter came back to the writer, a copy is below. In Bassett’s reply, he touched upon the fact that many of his comments were well thought out and not a spontaneous, heat of the moment outburst that his style tended to suggest. He also suggested that used sparingly these comments are a useful management motivational tool in both business settings as well as sporting realms and that he would hope that his management style had matured to the extent that he knew the right balance to use with his players. He went on to make a point about using public negativity to develop a united response from players, whether that criticism has come from the fans, media or the manager himself. "What you see and what you are told by the press is only a small part of my overall motivational strategy that has the best interests of the club at heart." So maybe we, as fans, have to accept a nuanced approach to man-management, more so in football. Whilst we, as managers in our day to day work, may not take the critical approach to personal development used by Bassett, Clough and Mourinho, we need to accept that the manager will see fit to use what they think is right. They will only act in a way they feel is in the best interests of the club, they have no reason not to as it is their livelihood at risk. The fact that one of the most popular managers in United’s recent history used similar techniques is often forgotten amongst his success. It certainly didn’t inspire the kind of response Clough’s player criticism has generated, albeit the use of social media means the strength of views are amplified these days. 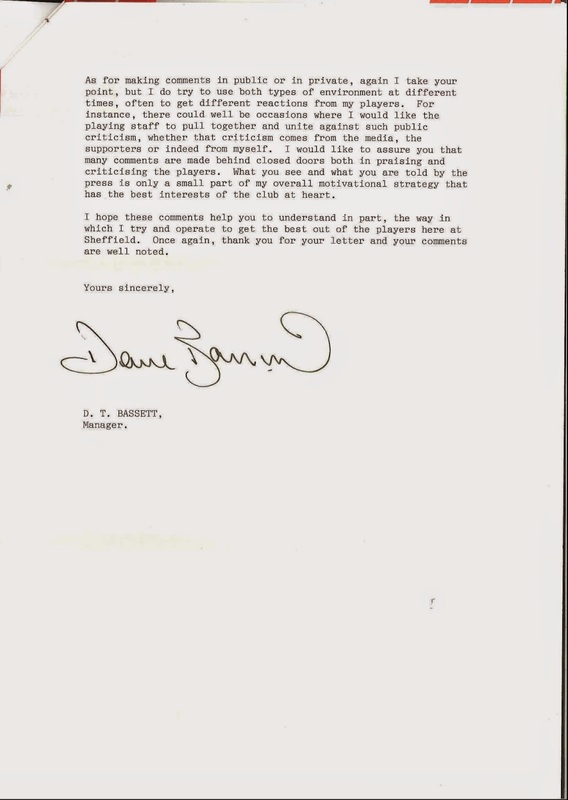 Who knows how many others questioned the manager in letters to the club? We will never know. It could also be argued that with his team under-performing in the league and recruitment decisions and team selection under scrutiny, this is just another verbal stick with which to hit the manager. But as he might argue when defending his treatment of McNulty, ‘Sticks and stones may break my bones, but saying things won’t hurt me’.